For the last few months there’s been a boarded up building on Lordship Lane bearing the words ‘coming soon…ish. 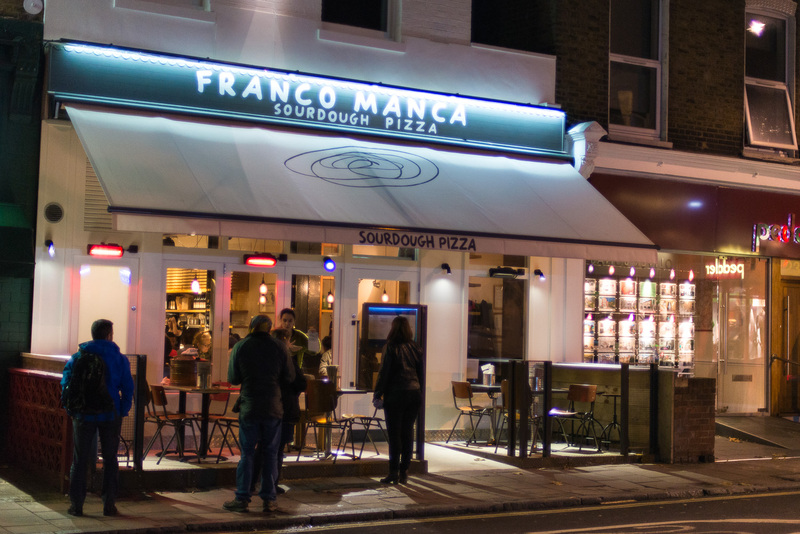 Franco Manca, sourdough pizza’, and just over a week ago it finally opened. Cue extreme local excitement and, well, queues. We checked it out last Monday in the hope of avoiding the weekend madness, but on our arrival found three groups of people already waiting in front of us. We decided to wait it out and were glad we did: we were in and seated within five minutes. 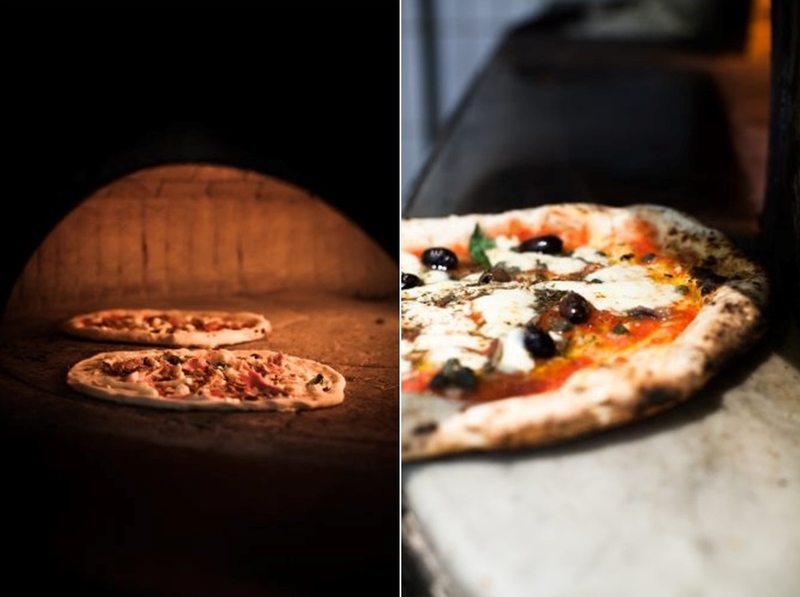 Billed as artisan, sourdough pizza, Franco Manca seems to tick every foodie box. 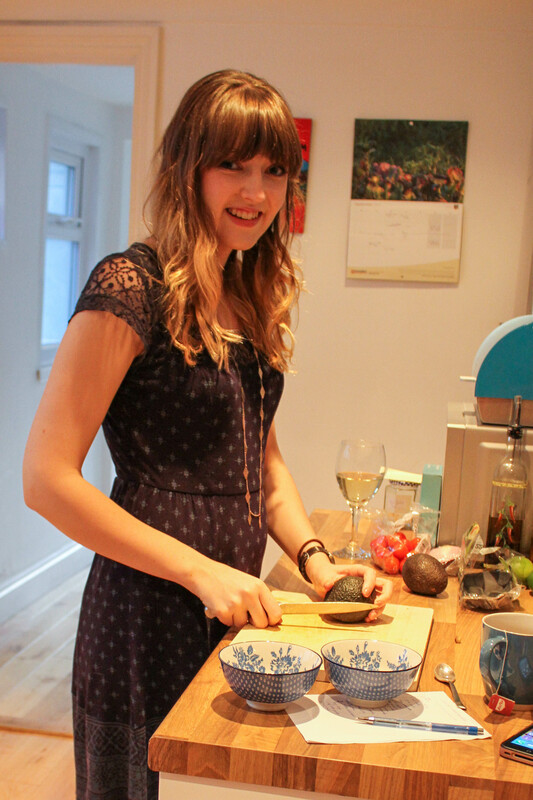 The menu is very focussed on the origin of the ingredients, including details of suppliers and tasting notes. While this is great and really interesting, I was concerned by the apparent lack of vegetarian options: my sister and I had the choice of tomato, garlic and oregano (£4.50) or tomato, mozzarella and basil (£5.90). Thankfully the specials board held much more excitement, with a huge variety of extra toppings and specials to die for: my pizza included organic tomato (a tomato sauce, though this wasn’t immediately clear), sun-dried tomatoes, wild garlic pesto and goat’s curd… pretty much my culinary dream on a plate. Though more pricey than the standard menu choices it was still well under a tenner and was truly fantastic. The base itself was also among the best I’ve had: more doughy than crispy and with a light but distinctive flavour, it was definitely my idea of a great pizza. Our scraped-clean plates at the end of the meal said it all, really. To accompany our meal we chose Ottavio Rube’s organic red wine (£13.95), which was great fun. It wasn’t like anything I’d had before – earthy and almost smoky – it was a great one to try and really grew on all of us (my sister didn’t initially like it, but drank more than I did in the end! ), and was a great accompaniment to the slight smokiness of the wood-fired pizza. Franco Manca is onto a winner. The menu is simple but incredibly strong, and the range of extra toppings mean there’ll be something for even the pickiest of eaters. The friendly staff and affordable pricing make for a relaxed yet buzzing atmosphere, and a great place however many people you’re with. There are now ten restaurants dotted around London to choose from, so if you’re in the South there’s really no excuse not to give it a go! Follow them on Twitter here for up-to-date news of new restaurant openings and all things pizza.